OMG! I thought, am I a sexist according to the definition: one who maintains the stereotypical roles of the sexes? Me? A generally fair and opened-minded forward-thinking female who tries to give others the benefit of the doubt and look at things from differing perspectives or points-of-view, and yet sexism had somehow invaded my psyche. At some time, I’m not sure when that mentality crept in and settled itself! Its ugly head reared upon my hearing that actor Tom Hanks was diagnosed with diabetes. I didn’t hesitate to blurt out: How did Rita let that happen? Rita Wilson. But why was it her fault? because she’s the wife and it was her duty to prevent it. Hanks is a grown man. How much grief do women already get for being too controlling? If the situation were reversed would I’ve asked the same question of him? Of course not. I actually found myself questioning myself, trying to come up with a reason, a way to give me and out. I mean intellectually, I know that science has shown the female species matures faster than males. But that’s no justification. Forget about being our brothers’ keepers, are we then all expected to be the keepers of the entire male population. In 1972, Helen Reddy touted “I am Woman (Hear Me Roar).” Beyoncé chimed in several decades later with tune “Girls Who Run the World.” Katy Perry most recently re-enforced the mantra of the latter with “Roar,” whose chorus “you’re gonna hear me roar,” echoes the message for a new generation of progressive feminist thinkers. Nevertheless, we know girls don’t run the world (though Beyoncé can keep telling Blue that she can be president); statistics show that women’s salaries still lag behind men’s in the workplace and research confirms that even when women work outside the home they still do the majority of the household chores and childcare. No surprise there. Can you say superwoman? It doesn’t matter how many polls try to make concessions for the status-quo by citing various related stats, the fact is the old adage holds as true today as it did whenever it was first uttered however as far back as it goes, ‘man works from sun-up to sundown but woman’s work is never done.’ There. And it’s been proven. Working mothers say Amen. Sure it’s gotten better, there’s been considerable strides made since the Equal Rights Amendment bill, which has yet to be passed — was drawn up. Men can get paid leave after their spouses give birth. Equality between the sexes is an impossibility. If wives can’t even attain it in their homes, what are the chances of getting it through the male-dominated legislative process? Good luck ladies. That’s why I won’t continue to beat myself up over my initial (knee-jerk) reaction. It’s simply a reflection of the reality. I guess I’m a realist and this is not an ideal society we live in, not world (as some countries like Denmark do have non-sexist cultural traditions). 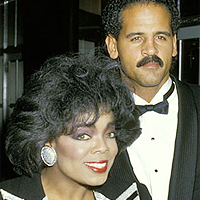 Oprah has expressed that she is a non-traditionalist, and that is the reason she isn’t married to longtime mate Stedman Graham. I believe by her choosing not to wed Graham due to her beliefs that the demands of being a media mogul wouldn’t allow her to live up to societal expectations of what being a wife entails. This shows that she’s more a traditionalist than not.